These cables offer good low temperature durability. Due to their lightweight, they are preferred by designers as well as the their tight bending radius ability of 10 times the cable thickness. Mainly used within buildings however these cables are not suitable for use in elevators. Fine copper wire strands to IEC 60228 class 5. 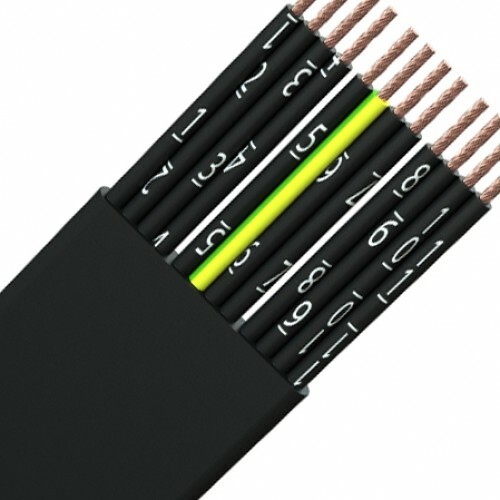 PVC insulation, colour coded for cables with 2-5 cores, six cores and above black PVC insulation with white numbers. A green/yellow earth conductor is included. Cores laid parallel. Black cold resistant PVC outer sheath.